Recently we reported that producer Dinesh Vijan is planning another horror comedy film with Rajkummar Rao and it will also star Varun Sharma in the leading role. The film will be titled as 'Rooh-Afza' and it will start rolling from 2019. The film will be shot in Moradabad, UP like how Stree was shot in Chanderi, Madhya Pradesh. Now reports are also that Dinesh Vijan is planning another film with Rajkummar Rao and this film will go on the floor simultaneously with Rooh-Afza. 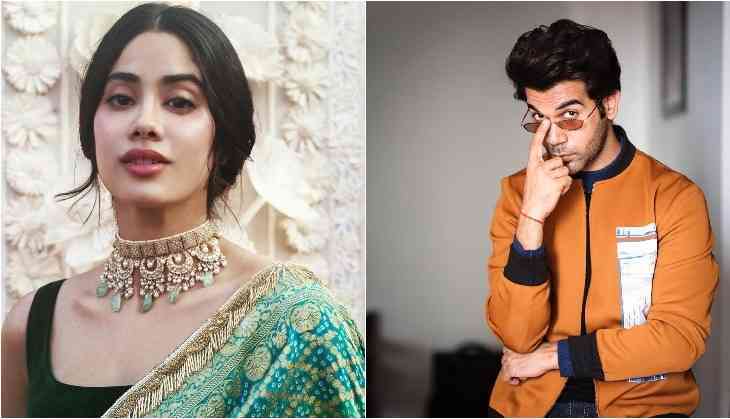 Actually, Dinesh Vijan has approached Janhvi Kapoor to star opposite Rajkummar Rao in this film. It looks like that producer Dinesh Vijan is currently planning to announce back to back successful ventures. It started with Stree and now being followed by Luka Chuppi as well. After that Dinesh Vijan is all set with Bala starring Ayushmann Khurrana and Bhumi Pednekar, Love Aaj Kal 2 directed by Imtiaz Ali starring Kartik Aaryan and Sara Ali Khan, Rooh-Afza starring Rajkummar Rao and Varun Sharma. Then Made In China starring Rajkummar Rao and Mouni Roy is also slated to come out in the same year. While Hindi Medium 2 is already in the talks.